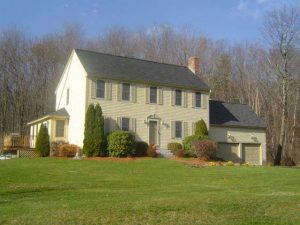 HomeAdditionPlus.com’s “HouseSight” continues to attract new members, and in particular home remodeling contractors. Contractors are becoming registered HouseSight members because HouseSight is a free tool for promoting their businesses and for generating home remodeling contractor leads. Unlike ServiceMagic and other contractor lead referral services, HouseSight is free to join and home remodeling contractor leads cost absolutely nothing. So how does HouseSight work? Well HouseSight is a home improvement themed social network environment that allows homeowners and contractors to post home remodeling projects and share experiences. Each HouseSight member can create as many home remodeling project pages as they desire. With each public home remodeling or home improvement project page created the member’s profile information is shared if they choose to make their information public. The profile information includes the members’ contact and website information. In addition, HouseSight members can contact one another via its internal messaging utility. Since HouseSight is part of the very popular HomeAdditionPlus.com website, literally hundreds of thousands of site visitors per month are exposed to HouseSight members’ projects. 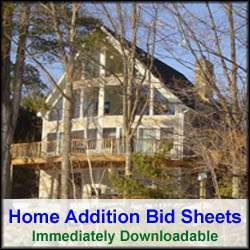 Many HomeAdditionPlus.com visitors come particularly to view specific home remodeling projects or categories on HouseSight. For example, if a HouseSight visitor is planning a kitchen remodeling project, they may flip through the entire kitchen remodeling category on HouseSight to get kitchen remodeling ideas and to find a home remodeling contractor for their project. If they find a kitchen remodeling contractor in their area that has posted a project on HouseSight that they like, the visitor can either click on the contractor’s website to learn more about them, or they can send a direct message to the contractor via HouseSight. And again, there is no cost to the contractor or homeowner for using HouseSight services. HouseSight is also an ideal environment for contractors to pass on lead opportunities to other contractors. Again with HouseSight’s internal messaging contractors and homeowners can connect with each other directly. HouseSight also allows homeowners and contractors to upload files to the HouseSight server and access them later from any PC connected to the internet. For example a contractor can store a list of his potential home remodeling contractor leads in a spreadsheet file, upload it to the HouseSight sever from his office computer, and then access them later from a field laptop, such as while having coffee at restaurant with internet access. So if you’re a contractor and haven’t yet registered on HouseSight, do so today and begin posting your remodeling and construction projects, and generating free home remodeling contractor leads.